The post Colorado medical marijuana companies embroiled in federal patent dispute appeared first on The Cannabist. According to a new HealthDay/Harris Poll, an overwhelming majority of adults in America support legalizing medical marijuana, with a strong majority also in support of legalizing the plant for recreational purposes. The survey found that 85% of Americans believe that marijuana “should be legalized for medical use”, while 57% support legalizing and regulating the plant for anyone 21 and older, for any use. Among younger respondents (those ages 18 to 44), 68% agree that cannabis should be legal. The results of the HealthDay/Harris Poll are similar to those of a Pew Research Center survey released in January, which found that 61% of voters in the U.S. support legalizing marijuana. The post Poll: 85% of Americans Support Legalizing Medical Marijuana, 57% Support Recreational Legalization appeared first on TheJointBlog. says it has collected 132,527 for State Question 797, which would legalize marijuana for everyone 21 and older. This is over the 124,000 signatures required to put the initiative to a vote of the people this November 6. However, the group will be continuing to collect signatures in order to reach their goal of 150,000 in order to ensure that enough of the signatures are valid (from registered Oklahoma voters). If the proposal is put on the ballot, and subsequently passed into law by voters, the possession of up to four ounces of marijuana, and the cultivation of up to eight seedlings and four mature marijuana plants, would be legal for those 21+. The possession of up to two ounces of marijuana concentrates and up to 72 ounces of marijuana-infused products would also be legal, with a system of licensed marijuana retail outlets authorized to sell the plant. Under State Question 797 marijuana would be taxed at no more than 7% at the state level, with localities allowed to place an addition tax of up to 2%. The majority (75%) of the tax revenue garnered would go to the Department of Education, with the remainder going to the Department of Health for drug and alcohol rehabilitation programs. In the past year, we have seen a remarkable uptick in individuals and businesses pursuing Oregon industrial hemp production, processing and sale. 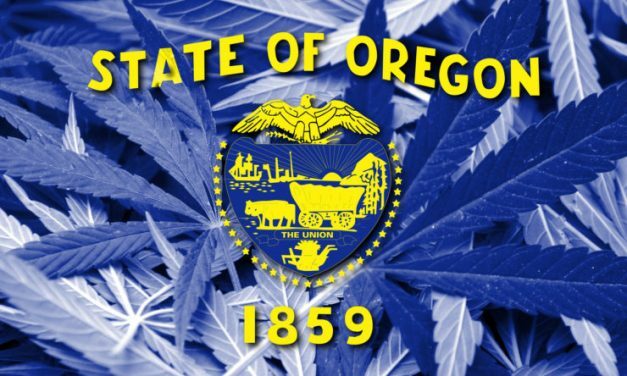 This accelerated interest has coincided with the CBD craze, and fortunately, Oregon has been working steadily to build out its hemp program over the past year or two. Today’s blog post answers some questions commonly fielded by our Oregon cannabis lawyers, and summarizes the state of the state with regard to hemp. What is the latest, as far as program rules? The rules have undergone steady revision for a few years now. The most recent changes are shown in the Oregon Department of Agriculture’s (“ODA”) proposed rule changes, which should take effect very soon. These updates will stem from bills passed by the legislature earlier this year, which we wrote about back in March. 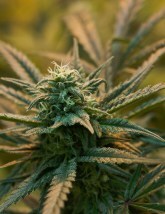 A few of the biggest pending changes include the requirement that industrial hemp and seed can only be transferred to another ODA registrant or qualifying Oregon Liquor Control Commission (OLCC) licensee (in accordance with certain OLCC rules), and that any hemp sold to a consumer has to be tested by an OLCC licensed lab. How easy is it to get a hemp handler’s permit? It’s not quite as easy as it used to be, but it’s not bad, and it’s still faster and cheaper than getting an OLCC license. In our office, we have paralegals process these applications, and both grower and handler registrations often issue in a month or less when the client is organized. Who can ODA permittees sell to, in the OLCC system? ODA handlers can only sell to OLCC processors with a current OLCC endorsement to receive ODA hemp. Those processors can then move the industrial hemp products along the supply chain, to OLCC wholesalers and retailers. I’m an ODA hemp handler. How do I get an OLCC hemp certificate? You can’t right now. OLCC stopped accepting applications for the certificates back in April. Once the ODA proposed rule changes are final (hopefully very soon), OLCC should start issuing these applications once again. As to OLCC processors, those entities can still apply for hemp endorsements to add to their licenses. Once I get an OLCC hemp certificate, how do those sales work? You will have recordkeeping requirements for all hemp and related products transferred into the OLCC system. This means you will have to log information in the METRC Cannabis Tracking System, like OLCC licensees. Note that hemp products in METRC are not subject to tax, unless they are later mixed with marijuana. Note also that once you transfer hemp to an OLCC processor, it has to stay in the OLCC system. This means you cannot take it back and sell it outside of METRC. Can I legally ship Oregon industrial hemp to other states? Oregon does not restrict such sales, but the state does not create a safe harbor from federal law, either. In fact, the new rules will provide that no one participating in the Oregon hemp program is immune from federal law enforcement, even if they are not shipping hemp interstate. So what does federal law say about shipping industrial hemp and CBD interstate? It’s complicated. Can I apply for an ODA permit on the same tax lot as my OLCC marijuana production? Yes, you can. But OLCC is going to require an approved “control plan” describing how the two production facilities will be separated, and ensuring that no industrial hemp winds up on the OLCC premises. Yes. Maps Credit Union has announced it will begin servicing both plant-touching and ancillary hemp businesses on August 1. There may be other options in the pipeline as well. Where can I find more information on all of this? Aside from checking this blog, the best place to go are the relevant portions of the ODA and OLCC websites. Unlike OLCC, the ODA hasn’t done a great job of aggregating information in FAQ format or issuing bulletins, so you may have to actually read through the administrative rules (fun! ), or call ODA itself with questions. The post Sweet Leaf case puts Colorado’s marijuana enforcement system to the test appeared first on The Cannabist.